I’d been under the impression that after-dark hours might have been seen as risky for the neighborhood — a somewhat desolate stretch of San Pablo Avenue. But Holland told me she’d always wanted to stay open late and has just been slowly revving things up: “You can always add hours, but you can’t take them away; otherwise, people will be really upset.” Safety hasn’t been an issue, she said. 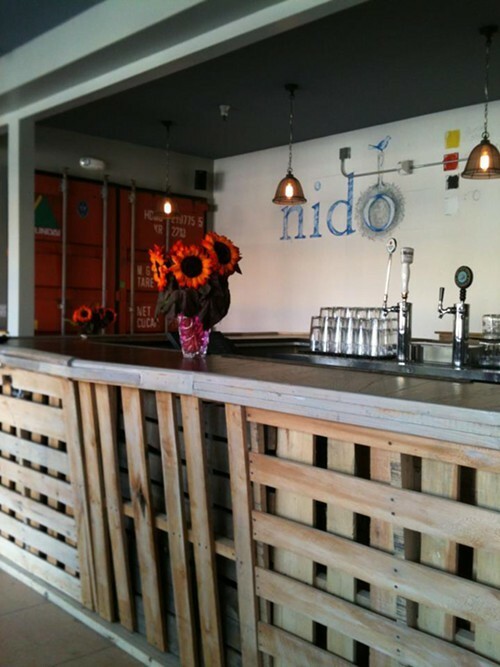 2) East Bay Dish reports that Nido (444 Oak St.), the new farm-to-table Mexican restaurant in Jack London Square, is now open for breakfast and lunch — even with the restaurant still in Kickstarter fundraising mode. Dinner service will be added later on. Eater has additional details about the layout of the space being shared by Nido and Jaynelle St. Jean’s PieTisserie pie window, which just needs a few more finishing touches. 3) Our Oakland tipped us off to the opening of Aria, a new Afghan/Mediterranean restaurant in the former Jesso’s Grill location (308 14th St.). Some early Yelp reviews are in, if you place stock in such things. 4) Via Grub Street: Adesso (4395 Piedmont Ave.) has started serving Roman-style pizza. Get a free taste at the pizza party the restaurant is hosting on Sunday, October 14, from 3 p.m. to 6 p.m. There will be $5 glasses of wine and beer. 5) For the past two years, the Sacramento-based pizza bar Hot Italian has been organizing the Moderno Italiano Festival, a (free) celebration of all things Italian — design, cars, film, food — in Midtown Sacramento. This Thursday, the 2012 festival’s opening night will take place at the Emeryville Public Market, in front of Hot Italian’s shiny new East Bay location, from 6 p.m. to 11 p.m. Take the opportunity to test drive a Fiat, watch a screening of “Gianni e le Donne” (“The Salt of Life”), and sample a variety of Italian foodstuffs, including Peroni beer, Galbani cheeses, and locally-made Fra’ Mani salumi. 7) As Rockridge’s highly anticipated Ramen Shop gears up to open (purportedly still a few months from now), you can get a sneak peak at the main attraction — the noodles — at Umami Mart (815 Broadway) this Friday, October 5. Ramen Shop’s noodle maestro, Jerry Jaksich, will be on hand to test out his new noodle-making machine, a 500-pound beast of a Japanese import called the Richmen. It’s worth checking out if you’ve ever been curious about what that process is like. 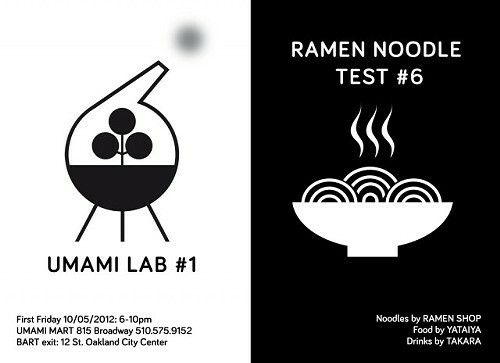 No actual bowls of ramen will be served, but uncooked noodles will be available for purchase. 8) At this Friday’s Bites off Broadway mobile food event, not only can you munch on tasty street eats, you’ll also have a chance to be on NPR (if that’s ever been a dream of yours): The debut episode of a new KALW show called “Chew on This” will be recorded right outside the Studio One Art Center (in front of which Bites off Broadway is held) starting at 6:30 p.m. The topic of the episode is “Turning Public Spaces into Vibrant Community Hubs,” and Bites Off Broadway proprietor Karen Hester will be one of the featured guests. 9) Finally, in case you missed this week’s stories on OUSD school lunch reform and the new West Oakland pop-up event called Peralta Junction, check them out.